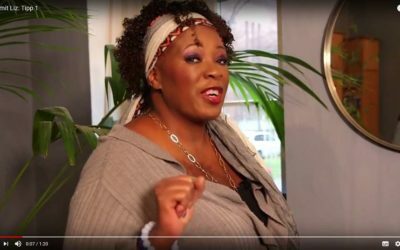 Soulfood Seminars – Tipps für die STIMME mit Liz Howard – Blog. Dieser Blog und ich sind hier ganz persönlich für Euch da – und ja, wir bleiben per Du. Meine Leidenschaft war immer die Stimme, wie sie klingt und wie wir sie immer wieder wecken, entfalten lassen und inspirieren können – aber vor allem, dass wir sie nicht mehr verstecken müssen! Ich möchte meine Erfahrungen mit Euch teilen, was ich gelernt habe, was ich zum Beispiel tun kann als Tipp Nummer eins, wenn ich aufgeregt bin, aber gleich auf die Bühne gehen muss…. etc. Genießt meine Tipps und probiert es aus! Diese Taktik hat mich mehrmals gerettet, also viel Spaß damit! 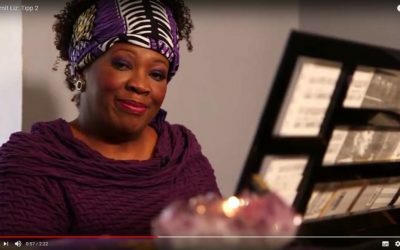 Liz Howard Soulfood Seminars, Business Voice Play-Dates and Keynotes. P.S. Make Them Hear You, Play With Your Voice! Tipps für alle im Business für die Stimme. We have contracted Liz Howard as guest speaker for the annual managers’ conference of the Procurement department at Vattenfall AB (Swedish energy and utilities company) in November 2017, and found her participation and input to be professional and inspiring. Her performance full of energy was exactly what we were looking for and everyone appreciated it very much, receiving top ratings when all participants were asked to give feedback. Further, Liz was gracious enough to join us for dinner and continue interacting with the participants to the conference, spreading the message of the importance of communication and how we convey our message. If you do not believe in miracles you have not met Liz Howard. I got to know facets of myself that were hidden behind many doors, but have now been unleashed and articulated. B.Vallant Aroma T.V. There are only so many ways you can express on paper an experience yet, to understand it fully it can only be personally lived out! That’s why I urge anyone looking into working with Liz Howard to just take the plunge and see for yourself the transformational process she can open up to you. A.Braconi Senior Manager, Lufthansa Group. A boundary breaking experience that allows you to identify your fears, break them down and push past any speech or stage performance anxiety through the discovery of your own voice. Overall Liz highly motivated and deeply encouraged each and every one of us in the group to squash out the fear of not being perfect and to truly understand our own voice. I certainly feel that in Liz’s workshop I met a new and improved version of myself that I wasn’t sure existed until now! Liz, thank you so much for the transformation. I highly recommend to anyone who hasn’t quite yet got 100% voice confidence that Liz will certainly not just find it in you but bring it out! J. Van Acker Senior Director, Human Resources Global Energy BU.